This is my grandma. 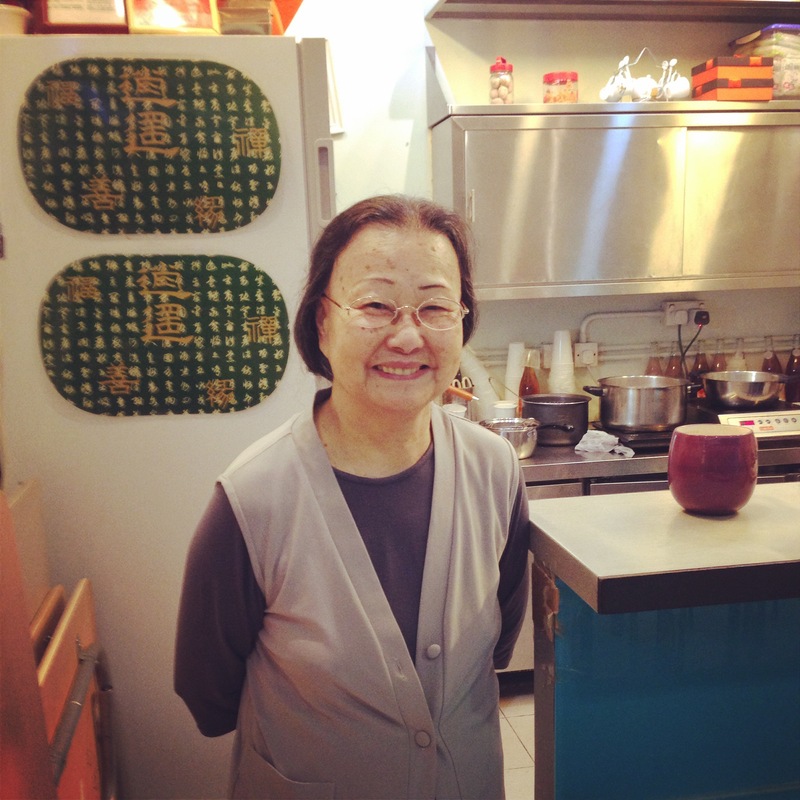 At 84 years young, she spends her days running a little restaurant in Kwun Tong called TH Vegetarian. As practising Buddhists, my aunt and grandma decided last year that they wanted to open an eatery that was affordable, vegetarian and charitable. So they did. My aunt does the organising and my grandma does the cooking. The business is run as a social enterprise where any income beyond their operating cost is donated to their temple, conveniently located in the building next door. Whilst I’m extremely bias in saying the food is fantastic, the queues at lunch time support this claim. For the bargain price of $30 HK (circa £2.30) for a dish AND a drink (and the knowledge that your money is doing some good) you really can’t go wrong.